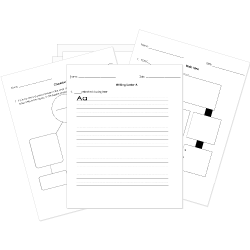 You can create printable tests and worksheets from these Grade 4 Animal Farm questions! Select one or more questions using the checkboxes above each question. Then click the add selected questions to a test button before moving to another page. What does Stanley think when the sneakers fall on his head? That they would fit him perfectly. That they did permanent damage to his head. That they would provide the key to his father's invention.